Now that the party season is in full swing, it’s the perfect time to stock up on beauty products small enough to fit in your clutch bag! From cute compacts to clever multi-use products, it’s always handy to have a few essentials on hand. Take a look at a few favourites and get ready to dazzle at the Christmas party! Featuring one of Benefit’s most iconic products, the Benetint lip and cheek stain, the clever Pocket Pal also has a slick gloss on the other end to give your look a stunning sheen. Perfect for those last minute party invites! 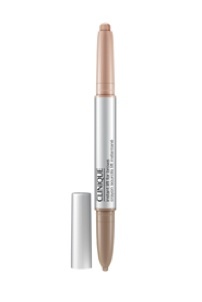 For those who like a defined brow, this handy pen from Clinique is all you’ll need. With a pencil to fill in and define brows and a highlighter to accentuate your look, your face will feel perfectly framed at all times. 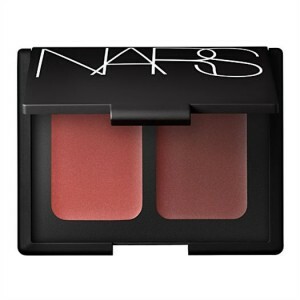 Nars are famous for their multi-use products, equally effective on lips, cheeks and eyes. The brand have now outdone themselves with the incredible Multiple Duo, featuring two shades and a mirror in one smart compact! Take a look at Vogue’s full list of clutch bag essentials. Hop on a sleigh ride with Paul & Joe What does your nail colour say about you?